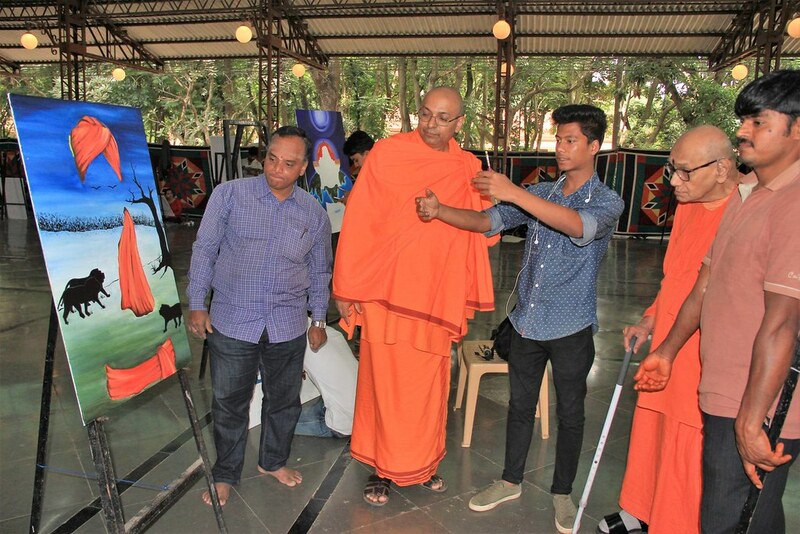 As a part of the ongoing celebrations of the 125th Anniversary of Swami Vivekananda’s Chicago Addresses, Ramakrishna Math, Bangalore organised a 4-day Creative Art Camp entitled “An Interaction with Swami Vivekananda through Art”. 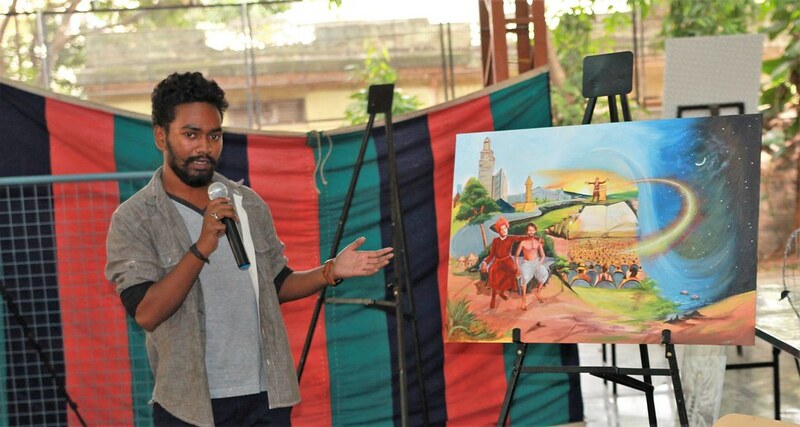 A few prominent art institutes of Bangalore were approached for nomination of students studying in their institution for participation in the camp. 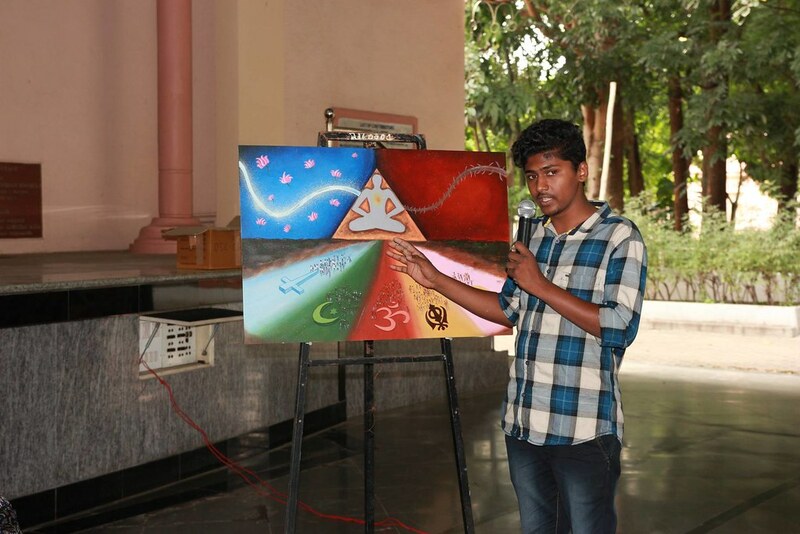 Around 35 students participated in the 4 day workshop/camp. 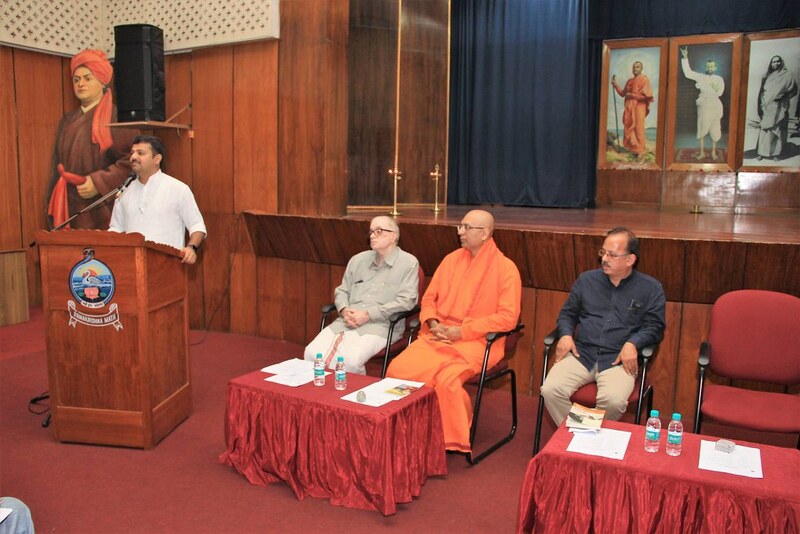 In the inaugural session on 30 July 2018, the students were introduced to the life and message of Swami Vivekananda through talks, video screenings and reading sessions of selected passages from ‘Chicago Addresses’. 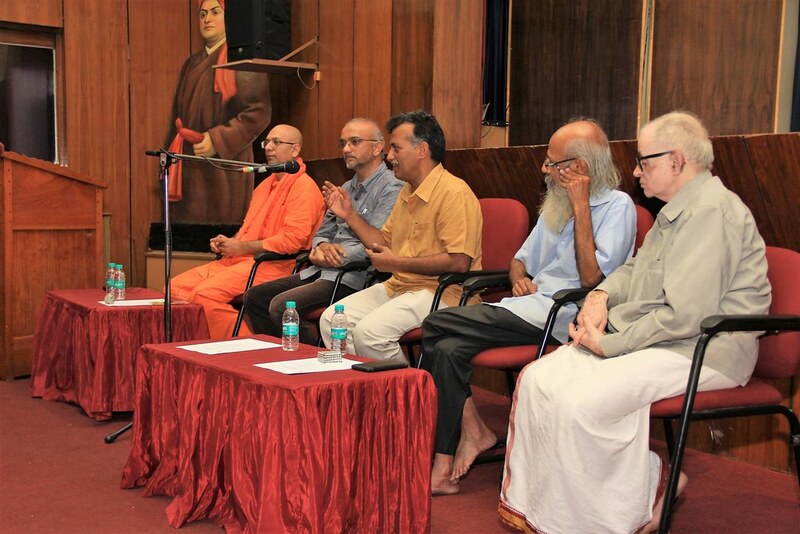 A talk by Sri Sulibele Chakravarthy, a noted orator and social worker, set the tone for the workshop. 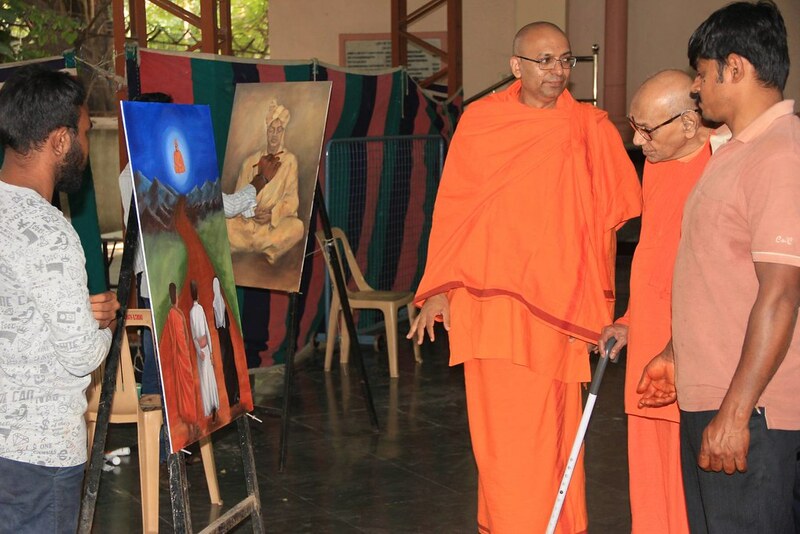 This was followed by talks by Sri Ramesh Chandra, Dean, Acharya School of Design, and Sri Jaikumar, Principal, Visual Arts Department,Bangalore University. 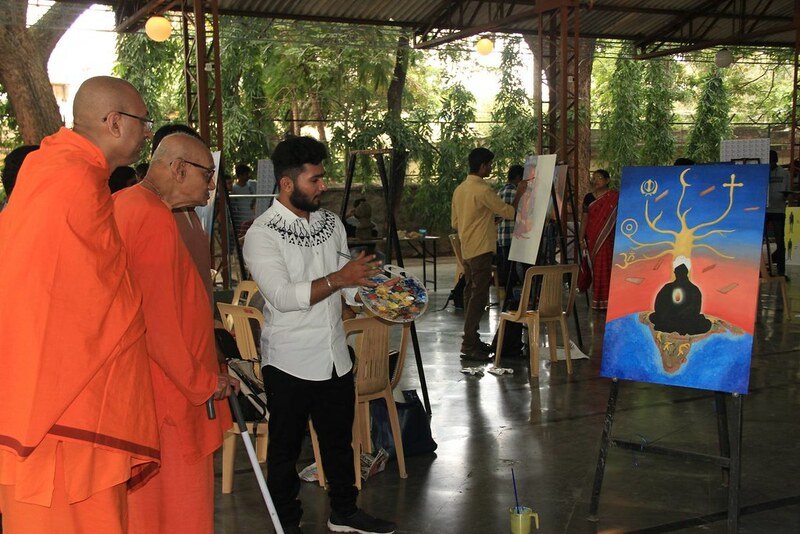 They also interacted with the students, answered questions posed by them and shared their art and teaching experiences with them. 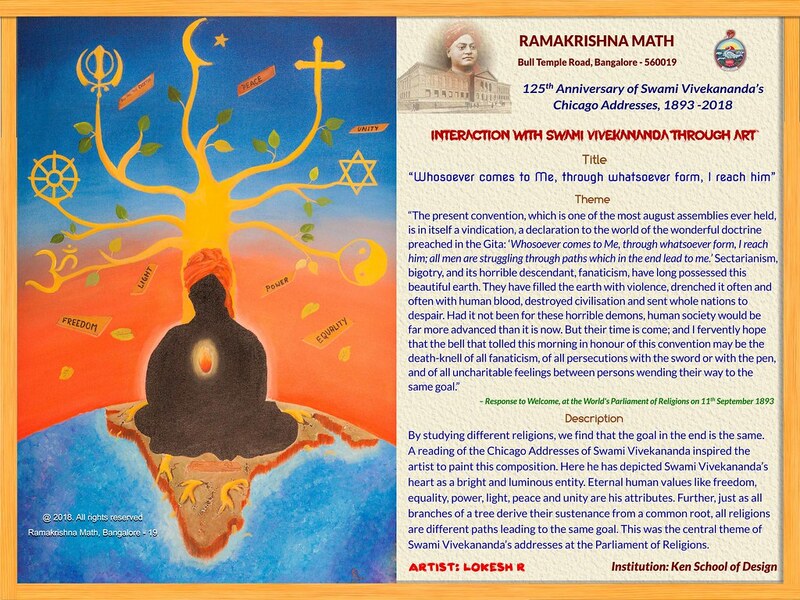 Around 23 art themes from Swamiji’s experiences in the Chicago Parliament of Religions were shared with the students. 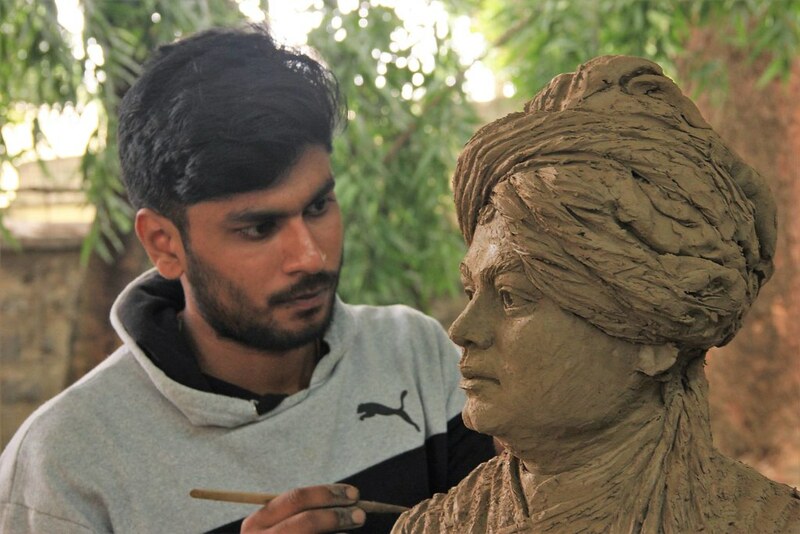 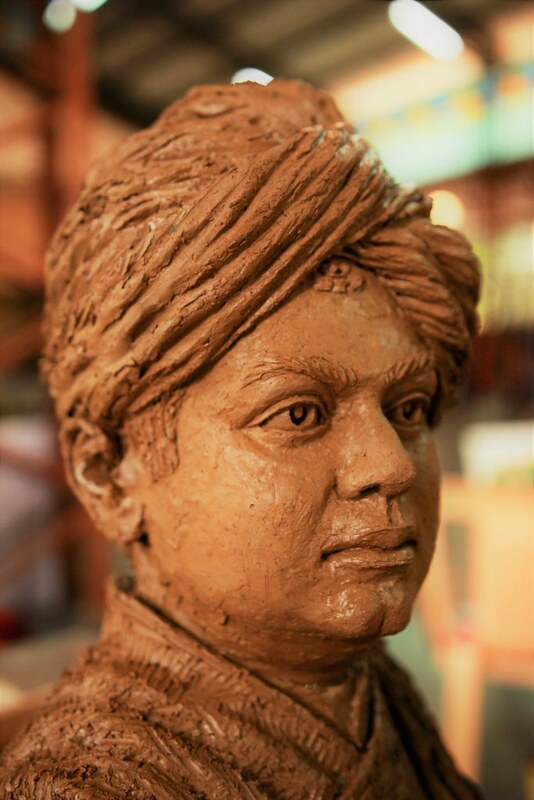 On 31 July, 1 and 2 August 2018, the students translated their ideas and feelings on Swami Vivekananda and his teachings into paintings, clay sculptures and even a wire sculpture. 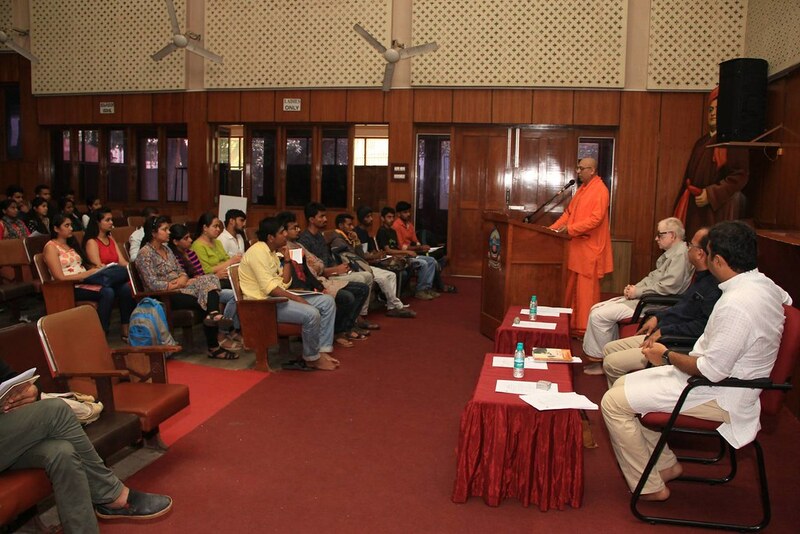 The students’ enthusiasm was infectious and the 3 days witnessed lively exchanges and many creative compositions. 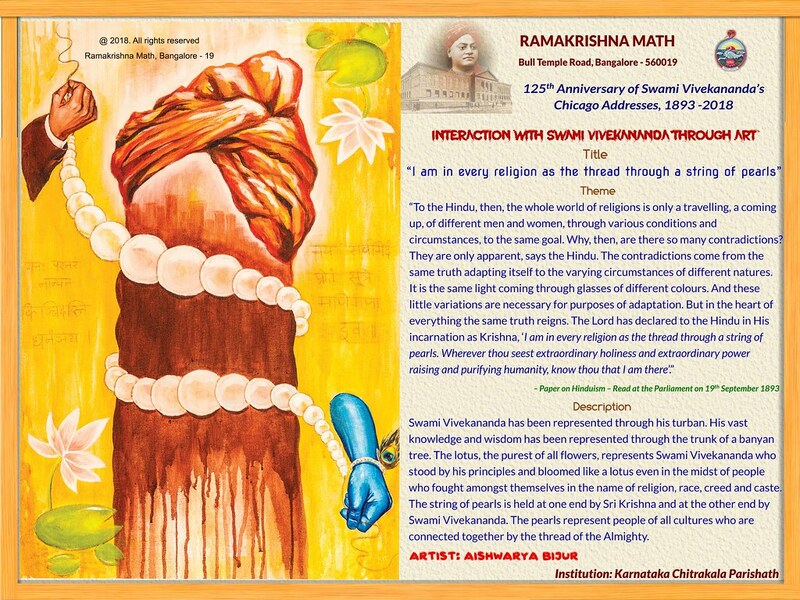 These productions will form the nucleus of an Exhibition to be organised in connection with the Celebration of 125th Anniversary of Swami Vivekananda’s ‘Chicago Addresses’ at Ramakrishna Math, Bangalore. 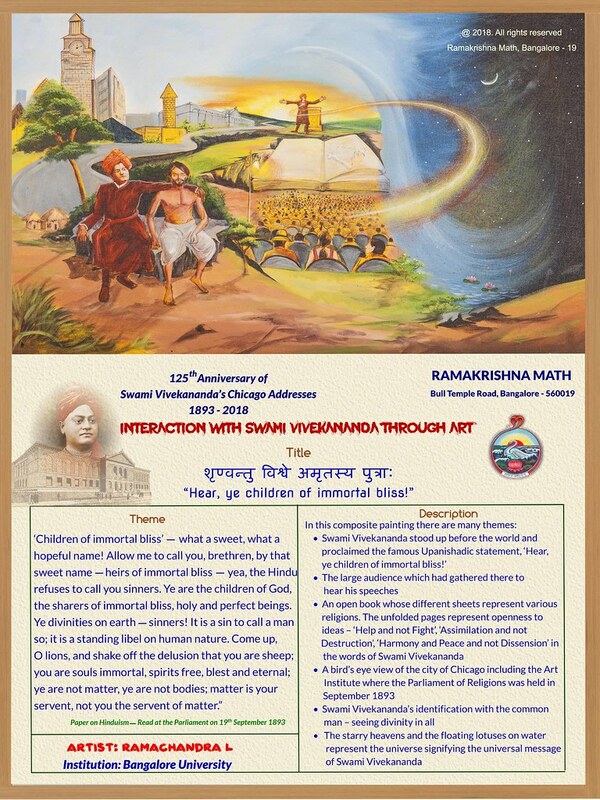 It was a unique event and all students expressed their gratitude to Ramakrishna Math for providing them an opportunity to learn more about Swami Vivekananda and also express some aspects of his life and message through art.